PHUKET: Police seized a live grenade while making a drug raid on a house in Thalang this week. The grenade was taken into custody and is now safe, police report. Officers discovered the war weapon while raiding a house in Moo 1 Thepkrasattri on Wednesday (Nov 7), reported Thalang Police Chief Lt Col Theerawat Liamsuwan. Acting on a tip-off, police had the house under surveillance, he explained. The suspects of interest were named as Thitikorn Wipawachart, 24, and his girlfriend Somrethai Srisawarng, also 24. When offices arrived at the house, Thitikorn was repairing his motorcycle in the front of the house and Somrethai was inside the house, Col Theerawat said. However, on seeing the police, the suspects began acting suspiciously, prompting the officers to raid the home, he added. Inside the house police found 0.08 grams of crystal meth (ya ice) and drug-taking paraphernalia – and the grenade. 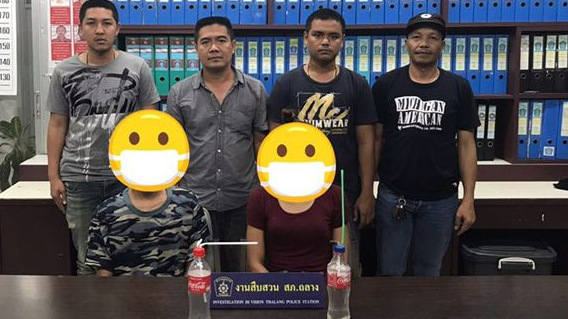 Thitikorn and Somrethai were taken to Thalang Police Station and charged for possession of a Category 1 drug and illegal possession of the grenade. During questioning, the couple told police that they were living together in the rented house as girlfriend and boyfriend. 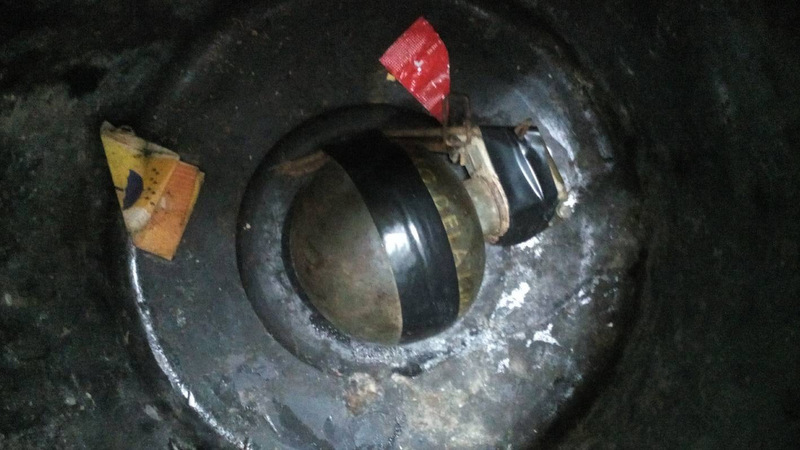 The pair told police that they obtained the ya ice from a person that they knew, but said that they did not know who brought the grenade to their house. It was left behind after friends had visited at the house, Col Theerawat said. Col Theerawat added that police were continuing their investigation.